Global bass sensations Alo Wala embark on a seven-city tour | WhatsTheScene? The US/Denmark-based global bass sensations Alo Wala have released their debut EP, the five-track Cityboy, and will embark on a mammoth seven-city tour of India beginning on the 23rd of November. 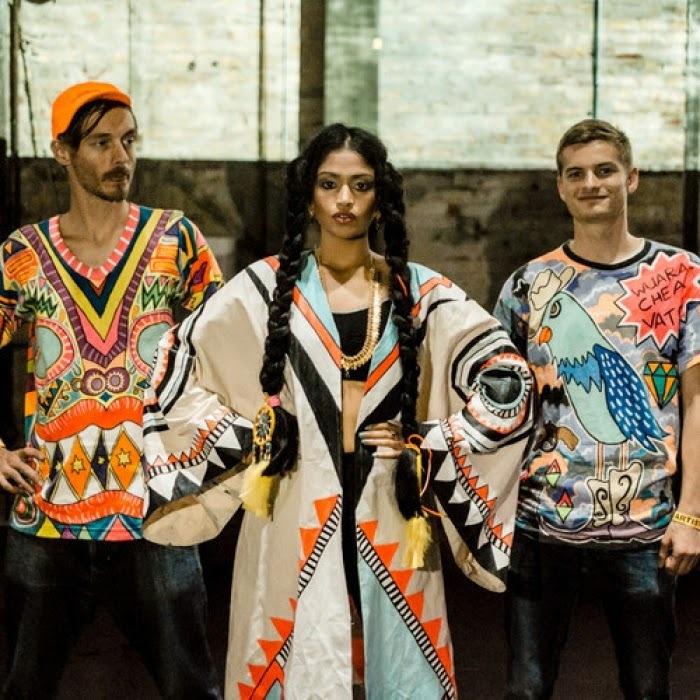 Comprising Chicago-based rapper Shivani Ahlowalia and Denmark-based tropical bass pioneers Copia Doble Systema, Alo Wala have taken the world by storm with their incredibly dance floor-friendly yet universal, bass-heavy sound since forming the band only a little over a year ago. Earlier this year, Alo Wala teamed up with the Indian bass superstar Nucleya, to create a massive track, Little Lotto, which has since taken over dance floors across the country and beyond. It expertly couples Nucleya’s unmistakable bass-heavy street sound, with some fantastic rapping by Ahlowalia and dancehall courtesy the Chicago-based MC Zulu. Alo Wala’s India tour will include stops in Pune, Delhi and Bangalore, as well as a set at Sunburn Festival in Goa. Alo Wala released their debut five-track EP Cityboy, on the 10th of November for streaming on Soundcloud, as well as to purchase on all major digital stores. The album has been released on the record label Enchufada, which is also home to global bass giants Buraka Som Sistema. A fantastic debut, Cityboy encompasses a variety of sounds, from the dance floor banger Ace of Space inspired by the Bollywood classic Eena Meena Deeka, to the dancehall inspired title track Cityboy, to the slower tempo Bend Yuh Backbone, to the Indian street music-inspired sound of Timbuktu. Alo Wala have collaborated with various other producers and musicians for the album, including the New York-based producer Boody on the EP opener Badman Bible, dancehall producer Jahdan Blakkamoore on the title track and Italian producer The Clerk on the EP closer Timbuktu.